Having beautiful skin is often considered to be one of the most important and crucial aims in the realm of beauty and cosmetics. Unfortunately having black heads or white heads doesn’t fit the criteria of perfect skin. However we can all struggle with these annoying blemishes and can try everything to get rid of them. 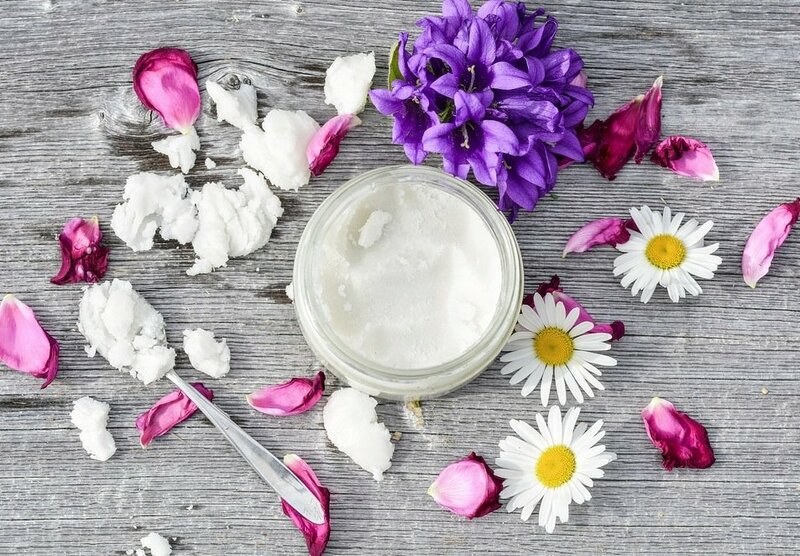 Here are 8 techniques to try out for a beautiful complexion! All these care products or solutions have been carried out on clean skin and have all used a moisturising cream adapted to the skin type after the process. Don’t forget about this step as even if your have oily skin or spots your skin needs to be moisturised! Melt 50g of coconut oil and then pour into a airtight container. Add ten drops of each of the following essential oils: lemon, lavender and tea tree. Apply the mixture with a cotton bud onto your skin. Only once per week you could slice a lemon in two and then smear honey onto flat side. Sprinkle a couple of pinches of sugar onto the honey. (Brown sugar is even better) Massage you face this mixture concentrating on the affected areas. Split an ash capsule onto a plate and add 5 drops of tea tree essential oil and finish by adding aloe vera gel. This will give your mixture a good texture for applying onto your face. Leave to sit for 15 to 20 minutes and then rinse with warm water. You can also mix half a teaspoon of ash with a spoon of green clay and finish by adding a half a spoon of water. Apply this paste onto the affected areas and then leave to dry completely. Repeat this process one or two times per week. Once per week, mix the same quantity of melted coconut oil and powdered coffee. Exfoliate your face with this mixture and then leave on your face for 5 minutes before rinsing with cold water. Make the most of the moment when your get out of the shower as your pores are more subtle and apply Vaseline onto your nose and then cover with clingfilm. Next apply a hot towel on top until it cools down until at room temperature. Pinch the black head so that they are removed. With this technique they will come out on their own. You should use two tissues instead of your nails as they will just a put bacteria onto this area. Rinse your face and hydrate your face. Repeat this process twice per month. Apply a hot cloth onto your nose for a few moments so as to soften the pores. In a bowl mix half a teaspoon of bicarbonate of soda and the same quantity of toothpaste. Alter the texture with a few drops of water if the paste is too thick. Apply this mixture onto your nose and scrub softly with a toothbrush. Rinse well. Once or twice month (no more) you could mix a good teaspoon of oat flour with the same amount of ground cinnamon and add a little hot water so that you can have a tick paste. Apply this paste onto your face using circular movements for a minute and then rinse using cold water. Cinnamon can create an uncomfortable sensation for your skin so don’t use it on it’s own and don’t think about adding more to mak ethe mixture more effective. (In fact it can “burn” the skin). Mix 20 g of oats, 10 g of yogurt, 15 g of honey and 10 ml of olive oil. Massage this mixture onto your skin for a minute or two and then leave it to rest for about 5 minutes. If you skin is sensitive, skip the exfoliating step and go straight to the mask! Remove with a cloth soaked in hot water. 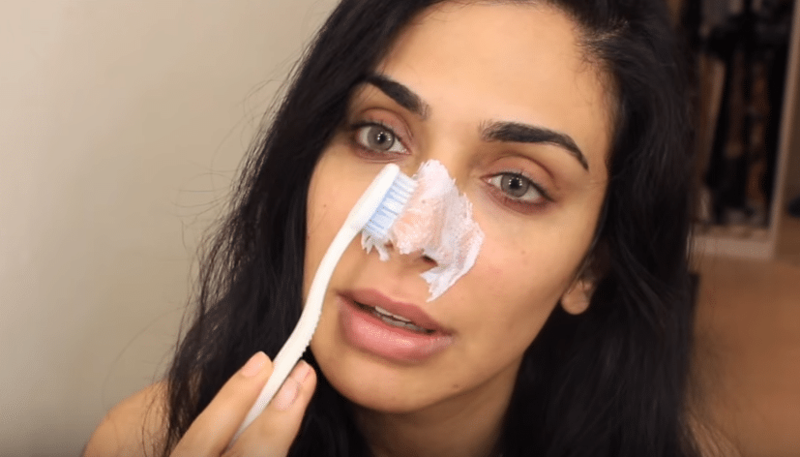 Get rid of blackheads with a toothbrush!